While it's hideous—and illegal—for an interrogation based on sincerely held religious beliefs to even occur in our government, it sure is amusing when the inquisitor epically faceplants. That's exactly what happened during the confirmation hearing of D.C. Circuit Court of Appeals nominee Neomi Rao, a devout Christian who has made decades-old remarks about the sinfulness of homosexuality. Correcting his course, Booker asked Rao if she'd ever hired any LGBT individuals in any other capacity. "I treat people as individuals,” Rao added, leaving me confused as to why the room didn't erupt into applause from the inclusivity-mongers present. "Because homosexuality, unlike gender and race, concerns a socially unacceptable activity, many gays have responded to the demands of normalcy in radical ways… Homosexual activism in its most visible form engages mainstream society in a total cultural challenge. The ‘promotion of queer expression’ comes in the form of explicitly sexual printed material, as well as national rallies and marches." “I am not sure the relevance of that,” Rao replied. “Do you believe they are a sin?” Booker continued, unsatisfied with her answer. “You know, senator, my personal views on any of these subjects are things I would put to one side and faithfully follow the precedents of the Supreme Court,” Rao answered, demonstrating tremendous patience with the inquisition she was subjected to. Booker went on to compare the LGBTQ movement to the Civil Rights movement and demand an answer of Rao, but she held firm and refused to divulge her personal convictions on the matter. 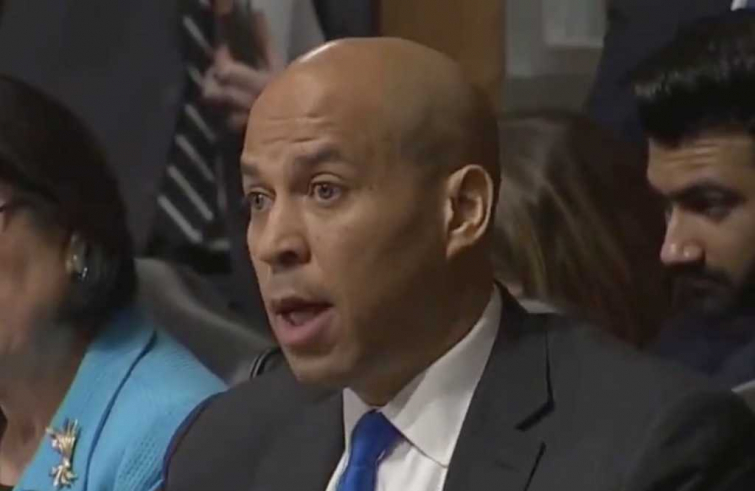 Texan Republican Sen. Ted Cruz responded to the farce and Booker's “hostility to religious faith” during Tuesday’s hearing before the Senate Judiciary Committee. Reminding everyone of Sen. Dianne Feinstein’s similar interrogation of then-judicial nominee Amy Coney Barrett and citing Article 6 of the Constitution, Cruz scolded the lawmakers for applying what amounts to a religious test of any nominee for public office.